Former heavyweight contender and noted author David “Nino” Rodriguez says he enjoyed his debut as a broadcaster on Friday night at Laredo Energy Arena in Laredo, Texas. Rodriguez was honored to serve alongside play-by-play man Jim Grieshaber as color commentator for USA beIN Sports’ showing of Summer Brawl 2018, featuring Laredo-based lightweight journeyman Victor Rosas’ (10-8, 4 KOs) upset fourth-round stoppage victory over Las Vegas contender Randy Moreno (12-2, 10 KOs) and hometown KO artist Jorge Castaneda’s (10-1, 10 KOs) sixth-round stoppage of Carlos Villareal (9-3, 8 KOs) of Las Vegas. The event was presented by Ivaylo Gotzev of Epic Sports and Entertainment, Keith Veltre of Roy Jones Jr Boxing Promotions and Triple A Promotions. Rodriguez says he wishes to thank the event promoters who took a chance on his abilities outside the ring and says the entire show turned out perfectly. 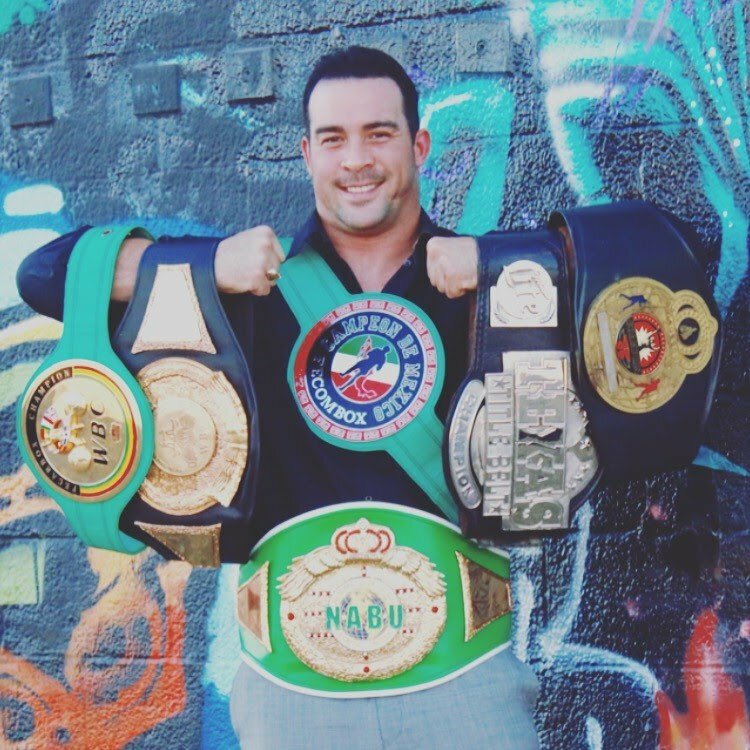 Currently in the process of opening El Paso’s first Weight loss Clinic and Spa (with partner Arturo Ortiz), Rodriguez, who went 37-2, 35 KOs and once held the WBA-NABA and NABU Heavyweight Championships as a fighter, says he’d love to return as commentator in the future. Rodriguez is the author of his autobiography, When the Lights Go Out, available through amazon.com and priced at $17.95 (paperback) and $7.95 (Kindle).